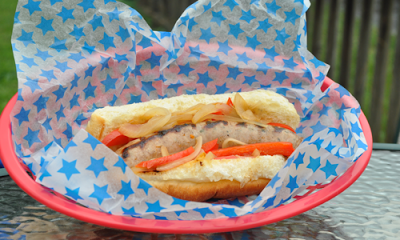 Seasonal Sweetheart: Boozed up bratwurst! Bratwurst and beer is a classic combination. There are many takes on this duo of flavors. If you are a lover of beer and brats this recipe is for you! Heat pan on medium high heat. Add butter and onions. Cook until slightly softened, 2-3 minutes. Add beer and bring to a simmer. Add peppers. 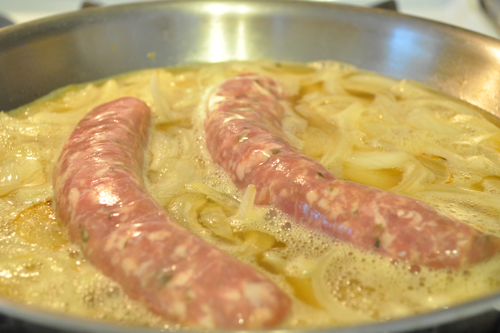 Add bratwurst and cook three quarters of the way through. Making sure to turn about half way through. Mean while heat up grill until very hot. This can be an indoor or outdoor grill. 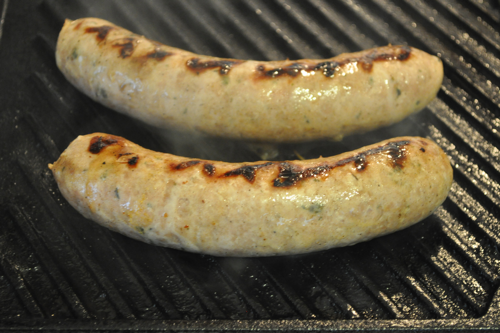 Once your bratwurst are ready, brush both sides with canola oil and oil grill. Place bratwurst on grill and cook 2 minutes. Then rotate 90 degrees for grill marks and cook for another minute. Do this on the other side as well. 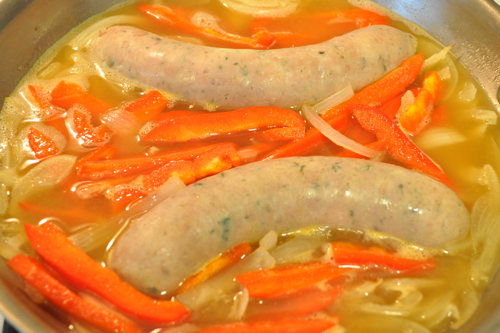 Serve with the peppers,onions and some of the sauce on a toasted bun. Enjoy! Tip- Cooking with beer is just like cooking with wine. Therefore, choose a beer that you would drink. A Belgian wit, German hefeweizen, lager, pale ale or IPA would work well with this recipe. Enjoy a beer while cooking this recipe! The sweeter side of salsa! A marvelous way to utilize that perfect tomato!